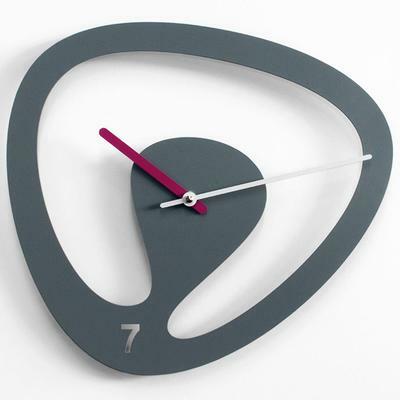 Designed by famous designer, Karim Rashid, this striking modern clock is crafted with an unusual shape. The gentle curves give it a beautiful feel. Both the negative space and cut out space offer up a lovely touch of negative space. Right in the middle portion is the red and white clock hand which helps tell time. It's definitely a clock worthy of a modern home. Go ahead and make it a part of yours today! Note: These clocks are made to order so expect 2-3 weeks of delivery upon initial order.